Tender makers continue to see high demand for their ever-improving units, with many of them struggling to keep up with demand. But some are also recognizing a mood of caution as commodity prices and Farm Bill passage remain uncertain. “Without a [Farm Bill] safety net growers may plant fewer acres, use less fertilizer to minimize cost or take land back out of production entirely. Any of these scenarios could hurt retail sales,” says Shawn Hudspeth, sales and marketing at Adams Fertilizer Equipment. Lower grain prices as well as proposed changes to the ethanol blend restrictions will likely “account for the majority of the headwinds that our industry will face going forward,” says Jon Simonsen of Simonsen Industries. The growers he has spoken with feel the Farm Bill will be extended, for at least one year. Dave Lovell, manager of field sales and marketing support with AGCO/Willmar, points to the rapid increase in farmland pricing and rent — as well as some input costs — as more of an issue. He believes the uncertainty of commodity prices, Farm Bill passage and, as always, the weather, has caused more than abnormal anxiety with growers and dealers. CropLife® threw out the topic of Obamacare to manufacturers, trying to gauge how wider national issues are impacting our industry segment. The law “will require about a 5% increase in equipment retail pricing to offset the mandatory imposition of Obamacare,” Hudspeth explains. Adams currently has some 255 full-time employees. Still, demand for tenders is strong. Because of the yields growers are getting, more and more tenders are needed to put on larger amounts of fertilizer, says Lovell. “Last year we saw more corn on corn (price-driven) as well as guys shooting for those higher yield goals. In order to reach them, the first thing you need to do is buy more fertilizer,” he adds. AGCO saw more 24-ton tenders going out the door in 2013, as well as lot of trailers and power pack systems. Tender companies are working to be proactive these days to meet demand. AGCO is getting its new Sioux City, IA, plant expansion up to speed. And the firm has put processes in place to have needed materials on hand. “In the past we ramped up our production quickly so it caused us to have some part shortages, but we’ve been working hard on having the right parts at the right time,” says Lovell. Says AGCO/Willmar dealer Brad Moen of FEI Inc.: “We’ve got a lot of them sold and obviously there will be a lot more sold after the first of the year.” He advises dealers to order units as soon as possible. “A lot of people like to have their equipment ready in February because you never know what Mother Nature is going to do. 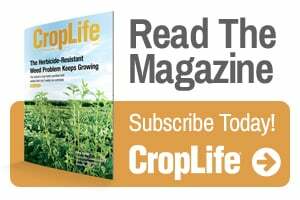 Growers want to get their crop in as early as possible,” he emphasizes. 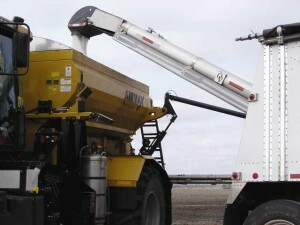 With tender sales up about 25% in 2013, Adams Fertilizer Equipment has also moved to meet demand. As early as September, the company had started employee overtime. It also made plant expansions and purchased new electronic torches, a new press and new computerized mills and lathes. Carla Peterson, manager at Peterson Motors, reports a “60% increase in numbers going into 2014,” with more than half of these sales attributed to past customers. She says because the company has been proactive in getting components on hand, at presstime Quickveyor orders were only one month out. David Juette, manager at Doyle Manufacturing, says sales of all tenders were up in 2013, with 24-foot tender trailers and 14-foot truck mount tenders seeing the largest increase. HAYS-L.T.I. reports success on two fronts: Not only are sales of its units at record levels with no seasonal slowdown, the company has been able to meet customers’ requested delivery dates. Precision Tank & Equipment (PT&E) experienced another excellent sales year on the stainless steel nurse tank side of the fertilizer transport business. Many customers ordered earlier in 2013, prompted by heavy backlogs and extended lead times over the past few seasons, explains Craig Carlock, eastern regional sales manager. PT&E is in the process of bringing its new Iowa tank plant — which will make both fiberglass and stainless tanks — into full production. The new construction will help lessen lead times even more, complementing new production at the company’s Indiana facility as well as established manufacturing at its Illinois plant. Side discharge units as well as overhead discharge augers are becoming more and more popular — again, because of higher capacities as well as the larger sizes of spreaders they’re delivering product to. One option Chandler Equipment recently added was longer auger lengths to accommodate the bigger, taller machines retailers are using, some for a growing of number post-plant fertilizer applications. Doyle’s Juette also finds longer augers for loading today’s taller spreaders are popular with customers as is splitting tender compartments for variable-rate machines. Several manufacturers agreed that legal payload regulations will continue to be an issue as units get larger. This is the largest BFT tender Simonsen Industries produces. that are much more “country road-friendly,” he adds. Companies say they have become good at understanding how to scale the largest tenders when they’re fully loaded — with local equipment dealers putting the right equipment together, “whether it be a five-axle under a straight-truck style or a semi tractor style or a semi-tractor with a trailer or triple axle,” says AGCO’s Lovell. With more customers asking for larger units, including larger semi-trailers, Ray-Man’s Bob Eakins says his company’s Charger II units feature a tri-axle configuration that can handle the weight. The firm also offers a longer discharge auger to handle materials and reach spreaders. “There is a need for longer trailers to handle the weight capacities,” agrees The KBH Corp.’s Tim Tenhet. 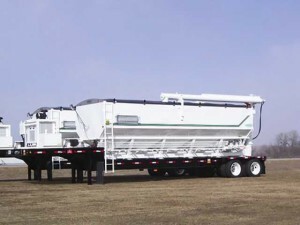 In fact, KBH recently began offering custom-length trailers to enable customers to maximize legal payloads. One challenge that has come with the monster units is finding someone to drive them. While smaller tenders do not require a driver with a CDL, the largest rigs do. In fact, in North Dakota, home to FEI Inc and a 2.6% unemployment rate, retailers are having to fight western oil fields to get people to work, says Moen. “A retailer told me the other day that he had to sell one of his pieces of flotation equipment because he didn’t have someone to drive it,” he says. Tender companies report a variety of additions and updates to their lines. Simonsen Industries made a large pit dump on the delivery auger standard, replacing several smaller pit dump openings with this one. Used in conjunction with electric SRT II roll tarps and electric vibrators, Adams’ new 304 stainless steel safety ports keep customers on the ground and off the ladder. Adams’ newest update, its safety port feature, was probably the company’s most helpful addition in 2013 — and will be offered in 2014 complete with 304 stainless steel ports, stainless steel probe and stainless steel probe handle. Used in conjunction with electric SRT II roll tarps and electric vibrators, the ports keep customers on the ground and off the ladder. Heading into 2014, Carlock says PT&E’s quick change liquid plumbing packages have been improved and are becoming more popular. The units utilize dry breaks and quick disconnects to ease the task of switching between liquid and dry nursing equipment. In fact, at its Illinois locations, PT&E offers entire liquid tender installation packages and can supply and install the tanks, pumps, custom plumbing, etc. on a customer’s cab and chassis or trailer set-up. Lexan covers on the Quickveyor’s moving belt have been very popular. 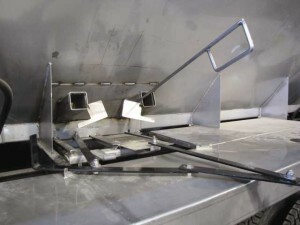 Peterson Motors’ Lexan covers for both the upper and lower conveyors on its Quickveyor have been a big hit — to the point the company has been asked to retrofit other trailers. Lightweight and strong, the custom-built covers (thereby not available for retrofits) wrap around the moving belt, adding safety while retaining visibility. Doyle Manufacturing introduced its newest unit, a 24-foot rear discharge trailer tender, at this past summer’s Midwest AG Industries Exposition (MAGIE) show. It has many of the same features as Doyle’s side discharge unit, including all-304 stainless steel modular hoppers, 304 stainless gate assemblies, reliable Kubota power packs and heavy duty powder coated trailers.